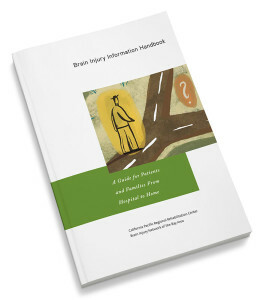 Stress following a brain injury is inevitable. When you experience a traumatic event, your nervous system responds by releasing a flood of stress hormones, including adrenaline and cortisol. These hormones prepare the body for action. Your heart beats faster, muscles tighten, blood pressure rises, your breathing quickens, and your senses (hearing, vision, smell) become sharper. These physical changes increase your strength and stamina, speed your reaction time, and enhance your focus—thereby preparing you to either fight or flee from the danger at hand. In small doses, this reaction is helpful. But our systems were never intended to endure this response for sustained periods of time. If unmanaged and prolonged, stress becomes a problem and a hindrance to our well being (physical, emotional and psychological) and negatively impacts our ability to solve problems effectively. Remember: Your quality of life matters and doing what you can to support yourself through the stress of coping with brain injury is important for you and those you love. Don’t try to control the uncontrollable. Many things in life are beyond our control. Rather than focusing on those things outside your control, focus on the things you CAN impact and change. Share your feelings. Talk to a trusted friend or family member. Talking about what you’re going through releases stress, even when the actual situation cannot be changed. People who enhance your life will lend perspective and offer strategies that have worked for them. Not all stressful situations are the same, but EVERYONE has experienced them. Connect with others. Seek support and guidance from others whose lives have been impacted by a brain injury. 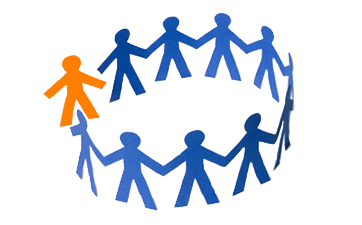 There are often organized support groups in the area for survivors of a brain injury or for caregivers/family members. These groups are often free of charge and offer information, guidance, and support. If you are near Marin County, view support groups offered by Schurig Center on our Support Groups page. Or, visit the Brain Injury Association of California’s website (BIACal.org) to locate a support group for survivors and/or caregivers in California. If there are no support groups in your area, consider starting one. 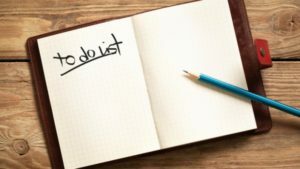 A helpful website for locating support groups plus information on starting one is Caregiver.org. Do something you enjoy every day. Find some space in each day for yourself, even if taking a short walk outside the hospital is all you have time to do. Try to keep up your involvement in activities and hobbies that you enjoy, whether it is hiking, playing the piano, or working on your bike. Even if a short period of time is all you can squeeze in, it will help release stress, allow you a brief opportunity to focus on something else and provide a bit of “normalcy” to your day. Exercise regularly. Physical activity plays a key role in reducing and preventing the effects of stress. All forms of exercise are beneficial for physical and emotional health, including mild-moderate exercise (e.g. walking, Yoga, Tai-Chi, etc.). Eat a healthy diet. 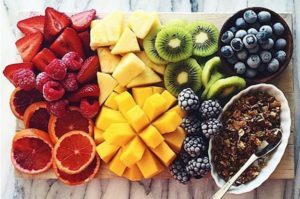 Well-nourished bodies are better prepared to cope with stress, so be mindful of what you eat. Limiting sugar, caffeine and alcohol is important. Maintaining regular healthy meals of protein, vegetables, grains and fruit will help provide energy to cope. Additionally, stay hydrated by drinking plenty of water. Get enough sleep. Adequate sleep fuels your mind, as well as your body. Feeling tired will increase your stress and may cause you to think irrationally. Maintain a regular sleep schedule, as much as possible. Take naps if sleeping through the night is not possible. Learn how to say “no”. Refuse to accept added responsibilities when you’re at your limit. Taking on more than you can handle will guarantee an increase in your stress level. Take control of your environment. If the evening news makes you anxious, turn the TV off. If certain people add to your stress, avoid them. Ask a good friend to interact with that person for you. If a situation is overwhelming, attempt to change it or walk away from it. Return when you are better able to handle the situation. Pare down your to-do list. Analyze your schedule, responsibilities, and daily tasks. If you’ve got too much on your plate, distinguish between the “shoulds” and the “musts.” Delegate tasks that you don’t need to do yourself. Ask for help from professionals or friends to help fill out the forms and paperwork often needed when in the rehabilitation process and after discharge. Forms can include those related to insurance and medical care. As a caregiver, allow yourself some respite time. Ask others to sit in for you at the hospital so you can take breaks (even if short) and continue to schedule respite time when your loved one is at home. If the survivor can attend groups or classes without you, take advantage of that time for yourself. If not, ask a friend, someone from your church or community to cover for you for a period so you can have some down time. Hiring a caregiver is a luxury but often a necessary one. A couple of websites with helpful tips: Caregiver.com and LotsaHelpingHands.com. Consult with a therapist or psychologist to obtain support, guidance, and information about coping with the life changes brain injury can bring, for both the patient and family member. Pay attention to your emotions and be aware if you are overwhelmed with feelings of anxiety or depression. Know the signs and symptoms and seek support through therapy or your physician to find successful treatment before these emotions impact your life in unhealthy ways. The Anxiety and Depression Association of America’s website (ADAA.org) is helpful for understanding anxiety and depression symptoms. 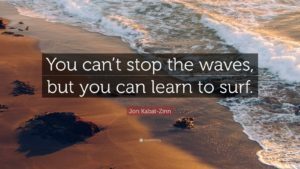 Read Jon Kabat-Zinn, PhD, the author of numerous scientific papers on the clinical applications of mindfulness in medicine and health care, and of a number of books for the non-professional. Start with: Full Catastrophe Living: Using the Wisdom of Your Body and Mind to Face Stress, Pain and Illness or Wherever You Go, There You Are: Mindfulness Meditation in Everyday Life. Practice relaxation techniques that help reduce the body’s physical and emotional reaction to stress. Meditation — Even five minutes a day makes a difference. A helpful website with meditation instructions can be found on the UCLA Mindful Awareness Research Center website. Visualization — Using imagery to relax. An example visualization script can be found here. Control Your Thoughts — Notice and redirect negative, harmful thoughts to supportive, helpful thoughts during times of stress. Write in a journal. Releasing thoughts and feelings in writing can result in healthier coping and an increased ability to face challenges successfully. Listen to relaxing music that calms the mind and emotions.